When calculating the amount of treasure needed for a group to level up (with setbacks), would you say that a dungeon level (including any sub-levels of equal difficulty) should try to contain exactly that much treasure or should that just be a minimum? The rate at which treasure hauls go up in value on lower levels should be enough to make sure the PCs don’t linger on safer levels too long, especially when those ‘safer’ levels still have Save or Die spider bites and wights and carrion crawlers ready to threaten the party with big losses. As long as the density of treasure stays at the ideal level, I don’t see a problem with a big level having way more treasure than a group could need to level up. Also, having a good deal of unexplored space on each level the PCs have progressed past is handy for those nights where only a few people can make it and the party doesn’t feel up for exploring quite to the depth they’re currently ‘on’. When calculating the amount of treasure needed for a group to level up (with setbacks), would you say that a dungeon level (including any sub-levels of equal difficulty) should try to contain exactly that much treasure or should that just be a minimum? Absolutely. Note that this is tricky when dealing with the first and second dungeon levels, since it costs the same amount of XP to go from second to third level as it did from first to second, so strict adherence to these guidelines would mean that the second level has the same amount of treasure as the first level but tougher monsters. You want to bump up the treasure on the second level enough to encourage PCs not to linger on the first, but if you bump it up too much, that might encourage PCs to linger on the second level rather than moving on to the third. Note that this is also partially accounted for by the practice of level restocking. Even if you completely clear out the lower levels, eventually something else will move in, and an understaffed party can go pick on those new inhabitants. Yes, there are quite a few connected bits in dungeon stocking—far more than I realized before digging into the topic. If you’re making a dungeon for your own group, you know the number of players. Trying to publish a megadungeon for groups of unknown and various sizes would get pretty sticky. Restocking may be the best answer to too little treasure; awarding fraction experience to a party on too shallow a level may or may not a good answer to too much treasure. P.S.—Your “continued from…” link is broken. It should be this. @Paul: Good point about the publishing problem! I think that can be handled with some basic guidelines in the dungeon notes, however. Also, thanks for catching the broken link! It’s fixed now. I just want to say thanks for the insightful and practical series this is shaping up as. I eagerly await the next installment. Eric, my imagination is going wild with ideas of filling this map for a Gamma World 2.0 campaign that I am running. 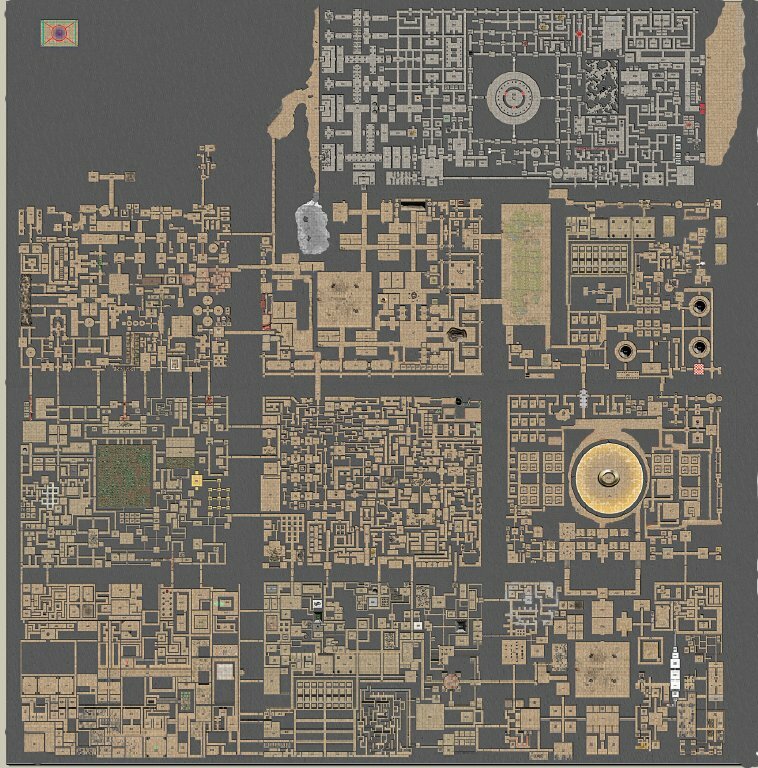 Any chance you could send me a file for this map? I am giddy about the thoughts of 10 different factions embroiled in a civil war inhabiting this underground world you have created and our heroes needing to navigate with brains and brawn through it.It would be so awesome!!! The game show host’s name was Monty Hall. Monty haul is the game situation that was then associated with giving away lots of prizes (treasure). Would you email me a copy of your map?